During last year, the Azerbaijan Industrial Corporation (AIC) carried out a number of important measures aimed at increasing production and improving the quality of industrial products, as well as improving the well-being of the population by creating new jobs, AIC Director General Kamran Nabizade said in an exclusive interview with Trend. Seventeen subsidiaries operating in the non-oil sector and engaged in the manufacture of cotton and silk products, aluminum, glassware, tobacco products etc, have been created at the AIC, he said. At the same time, the number of subsidiaries will be increased, he noted. In these plants, the principles of corporate governance and the reporting system were introduced, and this, in turn, will help strengthen control over the inflow of finances, make forecasting more accurate and increase the efficiency of investments, he said. 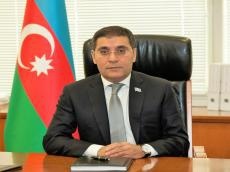 “Thanks to the implementation of projects based on modern technologies, it will be possible to manufacture products, the quality of which will meet international standards, the products manufactured at the plants will be supplied to global markets, the demand for Azerbaijani products in the world will increase and this will help increase Azerbaijan’s currency reserves,” he noted. As a result, in the near future, the coverage of the population’s demand at the expense of domestic production will increase significantly, he said. The export potential of the non-oil products, including aluminum, silk, cotton fiber and wine produced in Azerbaijan, will also increase, he added. Nabizade noted that a five-year business plan is being prepared for "Azertutun LLC", "Azerpambiq LLC" and "Azeripek LLC". “Investment plans will play a significant role in these business plans. They will reflect the issues of reconstruction of enterprises, upgrading technological equipment, and thus, increasing production and improving the quality of products," he said. According to Nabizade, one of the priorities for the agro-industrial complex is also to reduce the cost of goods produced at its enterprises. The AIC head believes that one of the main ways to reduce the cost of goods is to pay special attention to the quality of labor and production culture. Addressing these issues, will also help to overcome many social problems and improve the material well-being of the population, he added. Nabizade emphasized that AIC pays significant attention to the training of highly qualified specialists. "To this end, we are preparing projects with some universities in the country, and consider the possibility of studying abroad to train top-level specialists," he explained. Nabizade added that, funds for these purposes have already been allocated as part of the action plan for 2019. The general director of the AIC noted that today, the process of industrialization in the country is proceeding rapidly and the social-economic reforms carried out under the leadership of Azerbaijan President Ilham Aliyev, play an exceptional role in this process. “As a result of stimulating business processes and improving the investment environment in the future, economic processes in the country will be intensified,” he stressed. Furthermore, Nabizade spoke about plans for individual enterprises, in particular, cotton production. He stated that the management structure in this area was changed, the material and technical base was updated, and new combine harvesters were acquired. "In 2018, Azerpambiq LLC sowed 29,000 hectares of territory in 14 districts and 51,000 tons of cotton were harvested as a result. We cooperate with countries such as Turkey, Greece, China and Australia in the cotton industry and we are planning to use the experience of other countries in the nearest future," he said. According to the head of AIC, in the framework of cotton production in 2019 it is planned to create an agricultural park in Barda district and implementation of this project has already begun. "Thus, 2,350 hectares were sown and 20.7 tons of tobacco were obtained with the support and direct organization of the agro-industrial complex,” he said. “Moreover, 4.3 million manats was paid to 226 farmers. These figures are much higher than in 2017." Nabizade stressed that a tobacco curing station consisting of 60 chambers, meeting modern requirements and standards, was put into operation in Azerbaijan’s Balakan region. “Presently, Azertutun LLC agro-industrial complex has 236 tobacco curing chambers, warehouses and offices in Balakan, Zagatala, Gakh and Sheki regions, as well as four facilities for the production of dry tobacco with the necessary infrastructure and a tobacco processing plant in Zagatala region,” Nabizade added. "We intend to announce international tenders on the use of tobacco curing and processing technologies with the participation of leading world companies in 2019," he added. "Moreover, an additional production line is planned to be installed at the plant to increase the range of tobacco products," Nabizade said. “Another important aspect is the involvement of qualified specialists in the tobacco cultivation and curing, as well as its further processing,” he said. Nabizade also spoke about international cooperation. “The cooperation was established with international companies and specialized companies to improve knowledge and skills of employees of Azertutun agro-industrial complex in the field of tobacco processing,” he said. "The highly qualified consultants from Europe will begin to work in Azerbaijan soon,” he said. “One of the methods to increase productivity is proper cultivation and harvesting of tobacco. The main point here is the selection, cultivation and processing of seeds adapted to Azerbaijan’s natural conditions, as well as the use of suitable technologies for growing seedlings." Speaking about Azeripak LLC, Nabizade noted that in accordance with the State Program for Development of Silkworm Breeding and Sericulture in Azerbaijan in 2018-2025, last year 513 tons of silkworm were supplied, it is planned to produce raw silk from 52-55 tons of the silkworm. "A thousand tons of silkworm are expected to be supplied in 2019. In this regard, a corresponding program has been developed," he said. Nabizade noted that enterprises manufacturing aluminum and glass products are also being modernized and strategic development plans are being developed for them. In particular, thanks to this, "Shusha LLC", which is on the balance sheet of the corporation, will increase glass production fivefold. As Nabizade noted, presently, work is underway to launch the second production line in the first production workshop of the Shusha LLC glass factory. The work is expected to be completed in February 2019. Now, he continued, the plant operates at 40 percent of the design capacity and production amounts to 40-45 million units of glass containers per year. After commissioning the second line, the production capacity of the plant will increase to 90 percent and production volume will reach 95-100 million glass containers per year. "A warehouse for finished goods is also under construction at the plant, which is scheduled to be commissioned in July 2019. Moreover, the company is building a second glass melting furnace, which will expand production to 200-210 million units of glass containers per year," he said. He added that 200-210 additional jobs will be created after commissioning the second furnace and the second production line.